TWO men who set fire to a mosque met at Hester’s Way Library in Cheltenham and went on English Defence League marches together, a court was told. Clive Ceronne, 37, and Ashley Juggins, 21, were former members of the controversial group before starting the blaze at Masjid-E-Noor in Ryecroft Street, Gloucester. Gloucester Crown Court was told yesterday the pair had been driving around and shouting abuse at Muslims on the evening before the arson. Ceronne was jailed for four-and-a-half years and Juggins for three-and-a-half after the pair pleaded guilty to arson being reckless as to whether life was endangered. Juggins, of Brooklyn Road, in Cheltenham, poured petrol on the mosque’s steps before sparking a rag and setting it alight, causing £3,200 damage. The blaze came 27 days after the death of Drummer Lee Rigby, who was killed in Woolwich. Prosecutor Peter Coombes said: “Ceronne used to work for P&L Security and was posted to Hester’s Way Library where they met. In mitigation, Dermot Clarke said Juggins was first introduced to the EDL marches four years ago, but had since stopped taking part. Mr Clarke said: “He left after two years because, in his own words, he describes the meetings as degenerating into no more than throwing things at the police, however he remained in contact with Ceronne. Since being remanded in prison, Juggins was said to have attended church three times a week. The court was told Ceronne of Redwood Close in Gloucester had been the county’s divisional officer of the New British Union. The group is said to be styled on Oswald Mosley’s British Union of Fascists, which was banned in the 1940s, after it aligned itself with Nazi Germany. On its website, Ceronne claimed to have been involved in “far right cults, including the EDL”. “Two men have admitted an arson attack on a Gloucester mosque. Clive Michael Ceronne, 37, and Ashley Henry Juggins, 20, both pleaded guilty to arson being reckless as to whether life was endangered. The pair attempted to set fire to the Masjid-E-Noor in the city’s Ryecroft Street on June 18 this year. Ceronne, a former security guard of Redwood Close, in Gloucester and Juggins, of Brooklyn Road in Cheltenham will be sentenced at Gloucester Crown Court on November 18. The court previously heard the pair had bought lager, vodka and a petrol can of fuel from a London Road garage before using the fuel to set fire to the place of worship by owned by the Muslim Welfare Association. A passer-by saw the fire and helped put it out, before severe damage was caused. The attack came in the wake of the death of Drummer Lee Rigby. The pair both denied a more serious charge of arson with intent to endanger life. Prosecutor Peter Combe said this was acceptable to the crown when Juggins appeared via video link and Ceronne in the dock. Judge Jamie Tabor QC ordered a pre-sentence report on the pair prior to their return to the same court next month. He said: “You have both pleaded guilty to a very serious offence. They were remanded in custody.” Link. 3CAFA previously ran this story in its early development exposing Ceronne’s links with the English Defence League and The New British Union (of fascists) here. Police have made an arrest after it was alleged a man was racially abused and then assaulted in Cheltenham. A 22-year-old local man was arrested on suspicion of a racially aggravated public order offence and assault. He has been bailed to return to the police station on November 7. Officers investigating are appealing for any witnesses to come forward. A spokeswoman said: “At around 2.45pm yesterday, officers were called to the High Street, outside Poundland, to reports that a man had shouted a racist insult at a 34-year-old local man before throwing an open can of drink at him and assaulting him. “The victim was not seriously injured. A man has been jailed after leaving a pigs head tied to the gates of Cheltenham Mosque and daubing racist graffiti, in an apparent ‘revenge attack’ against Muslims after seeing members of the extremist ‘Muslims Against Crusades’ burn poppies on remembrance day. The incident happened on November 13th 2010, when him and an unknown accomplice arrived late at night, hooded and masked up. They left the pigs head tied to the gate, and painted ‘Rag Heads Out’ on a wall. Simon Parkes, 45, of Crown Close, Bishop’s Cleeve, was charged with racially or religiously aggravated criminal damage and a public order offence on July 14, 2012. On August 9 he pleaded guilty at Cheltenham Magistrates and yesterday he was been sentenced to four months at Gloucester Crown Court. 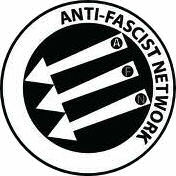 – Whilst 3 Counties Anti-Fascists fully condemn the racist actions of Simon Parkes and his indiscriminate targeting of Muslims, we would also like to point out that we fully oppose the hate-filled ideology behind ‘Muslims Against Crusades.’ We believe that they and groups such as the EDL and BNP are different sides of the same coin – both standing in the way of working class unity , freedom and equality. A FORMER Worcester City footballer who posted a racist tweet against immigrants on Remembrance Day has been ordered to pay £600 in fines and costs. 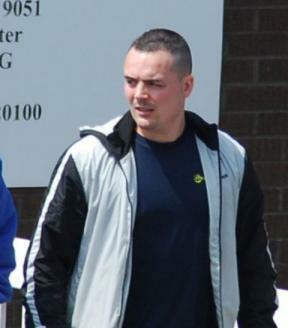 Lee Smith, aged 28, used foul language in the tweet, which called for illegal immigrants to be killed. The tweet, which referred to the war-based online game Call of Duty, was spotted by a journalist who reported it to police and Smith was arrested. After he was charged for the offence Smith’s contract was not renewed at Worcester and he has since been unable to find another football club to sign him, magistrates in Cheltenham were told yesterday. Smith denied posting a racially aggravated, threatening, abusive or insulting tweet which was likely to cause harassment, alarm or distress. But he was convicted and fined £100 plus £500 costs. His assertion that he had meant to send two tweets but got them mixed up into one which gave an impression of racism was dismissed by the bench. In his offensive tweet, on November 11 last year, midfielder Smith, of Arreton Road, Gloucester, said he respected all the heroes of 11/11/11 “but all the illegal foreign ***** should **** off out of out of the country.or Call of Duty could become a reality – kill um”. 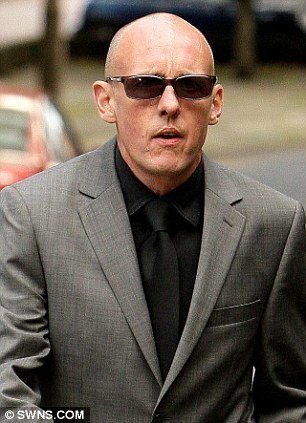 Derek Ryder, prosecuting, said: “His use of words including ‘kill um’ showed his hostility towards illegal immigrants. Smith told police he was not used to using Twitter and thought he had just been talking to friends. He said he just wanted to give respect to the heroes in the armed services for what they had done, and he did not think it was right that illegal immigrants should be taking jobs from people in this country. “Call of Duty was nothing to do with that,” he told police. “It was a reference to going online and playing the game with friends later. I meant it to be a different thing. I was not making a reference to killing illegal immigrants and it was not meant to be in the same message. “I don’t want them to be harmed in any way. He said he made the tweet on his phone but had since lost it. Lisa Ellis, defending, said Smith would not be giving evidence. “Mr Smith had no reason to believe that any person would be caused distress by the tweet,” she said. Finding him guilty, chairman of the bench Mike Stayte said: “The words demonstrated hostility and were abusive and insulting and the reference to Call of Duty was a real threat.” Smith was ordered to pay a fine of £100, victim surcharge of £15 and costs of £500.